When you think of a wedding, there are many things that come to mind – cutting the cake, the bouquet toss, the vows, and the wedding dress, which is almost always in white. The woman wearing a white gown is probably the most popular tradition. But did you know that red used to be the most popular color ones? That changed only after Queen Victoria walked down the aisle sporting a white gown. So the credit for starting this tradition goes to the Queen. Many celebrities have however broken this tradition from time to time. Here are a few of them. 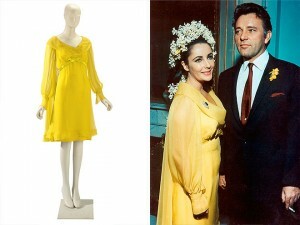 Elizabeth Taylor married a whooping eight times. Taking that many trips down the aisle it’s understandable that she wanted to break the tradition once in a while. Taylor wore a yellow chiffon dress and a floral head piece when she tied the knot with Richard Burton. Taylor and Burton were married for 10 years, which was the longest of any of Taylor’s marriages. Oscar winning actress Anne Hathaway is a favorite of the fashion world. 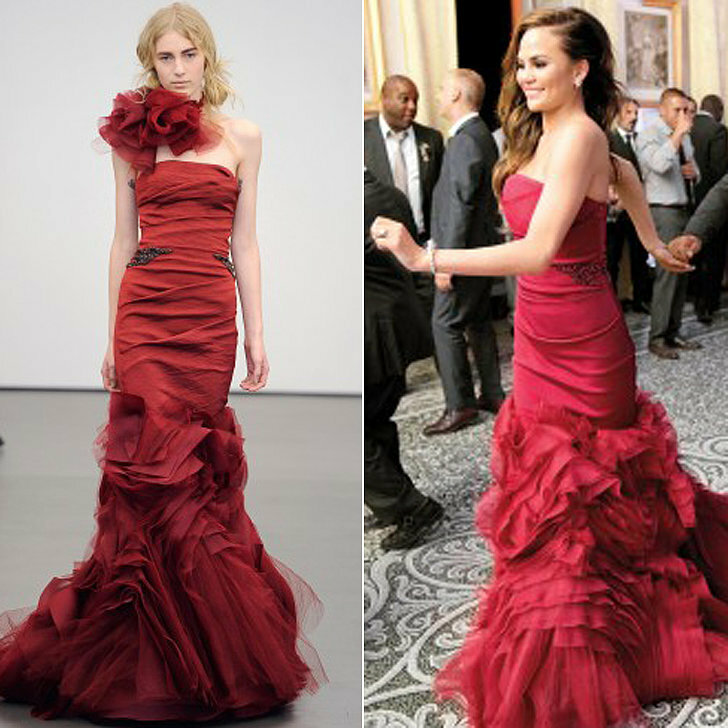 She can pull off anything, including a Valentino gown with a pink hemline. 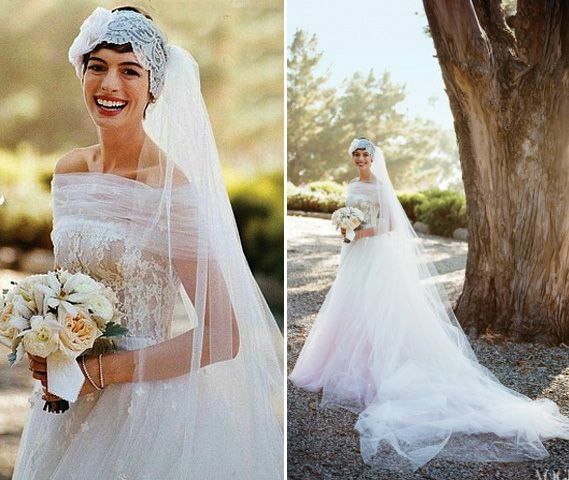 During her low-key nuptials to the actor/jewelry designer Adam Shulman, she choose to forego a traditional all white dress and rebelled with just a touch a pink at the bottom. To accessorize the gown, she skipped the jewelry but wore a 1920s-esque headband. 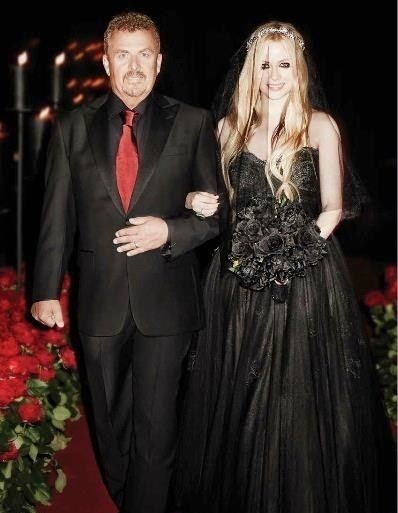 In 2013, Avril Lavigne married Chad Kroeger. Instead of opting for a white gown, Avril went in the complete opposite direction, rocking a black Monique Lhuillier gown. The choice seemed very fitting for the wedding of the two musicians. When Gwen Stefani married Gavin Rossdale in 2002, she wore a custom pink-ombre Dior gown. Two weeks later, they had a second wedding in Los Angeles. Stefani has said that they had the second wedding just so she could wear her stunning gown again. Oscar-winning actress Julianne Moore started dating Bart Freundlich in 1996. When the couple finally tied the knot in 2003, she wore a lilac Prada dress, and accessorized it with green dangling earrings that she borrowed from friend Ellen Barkin. 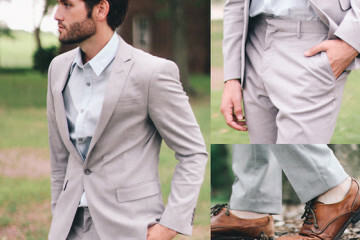 The groom wore a cream colored suit, that he styled with a lilac tie to match Moore’s dress. When fashion icon Sarah Jessica Parker married Matthew Broderick in 1997, she wore a black dress that was supposedly the first dress she saw. Parker went with a black dress because she didn’t want to be seen buying a white dress, afraid the media would get wind of their wedding plans. Their guests were invited to a NYC party, only to find on arrival that it was their wedding. When Chrissy Teigen, a supermodel who has graced the covers of Sports Illustrated, tied the knot with John Legend in 2013, she wore not one, not two, but three wedding dresses. “They were all so pretty”, she said. Two of the three dresses were white but the third was a stunning red. She wore the red dress during the reception.